This summer has been a lot of tofu. 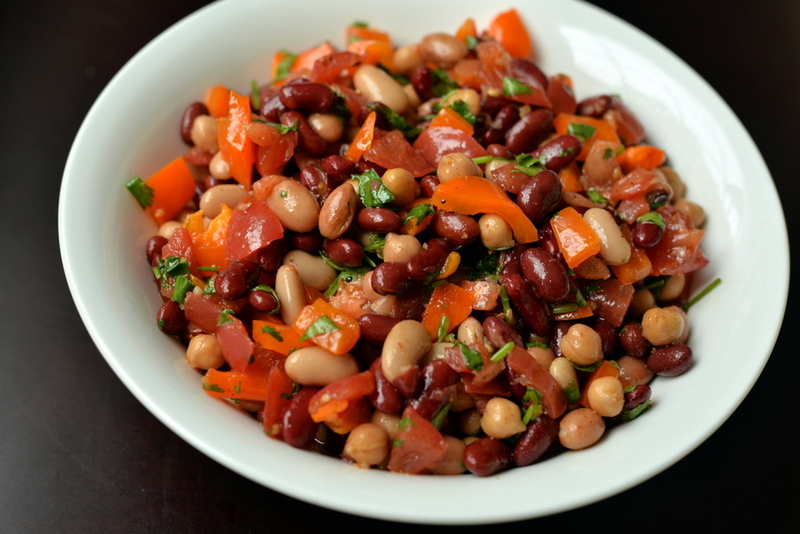 I’ve been missing my beans.. and then all of a sudden, I had a craving for a mixed bean salad. 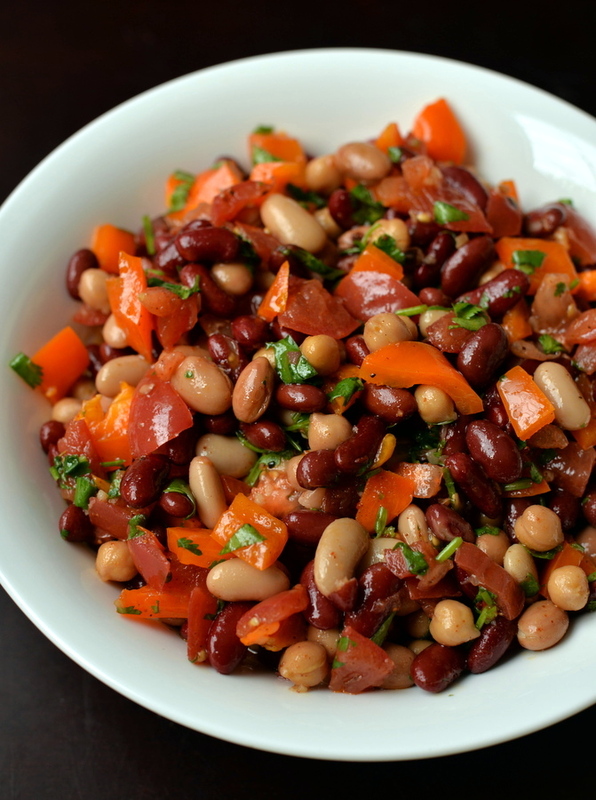 My last mixed bean salad was Symphony in a Can aka My 5-Minute Symphonic Mixed Bean Salad which has a more classic flavour profile: lemon, mustard and onion for the mixed beans. 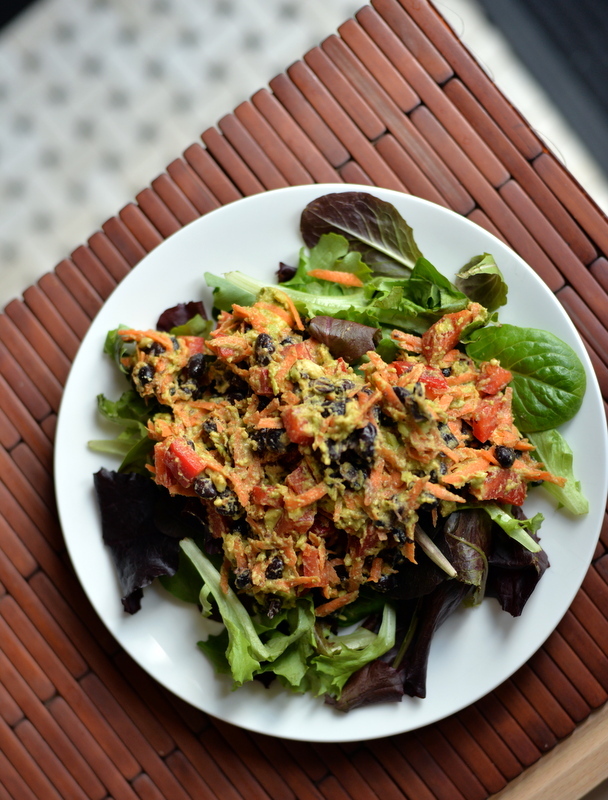 This time I went with a Southwestern inspired bean salad with a chile-lime dressing. Lots of vegetables including bell peppers and tomatoes along with fresh cilantro. 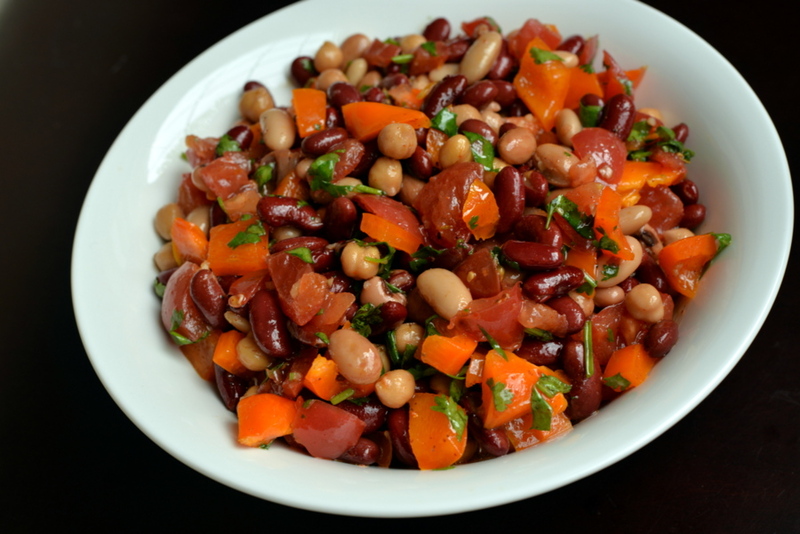 I worked with a medley of beans and then added in extra red kidney beans. They are perfect for salads and I don’t use them nearly enough. I think my chile powder has been losing its freshness/spiciness so my newest trend (you may have already spotted it) is adding some Sweet Mesquite Seasoning which has plenty of oomph. Either that or my palate is warming up… Probably the former. 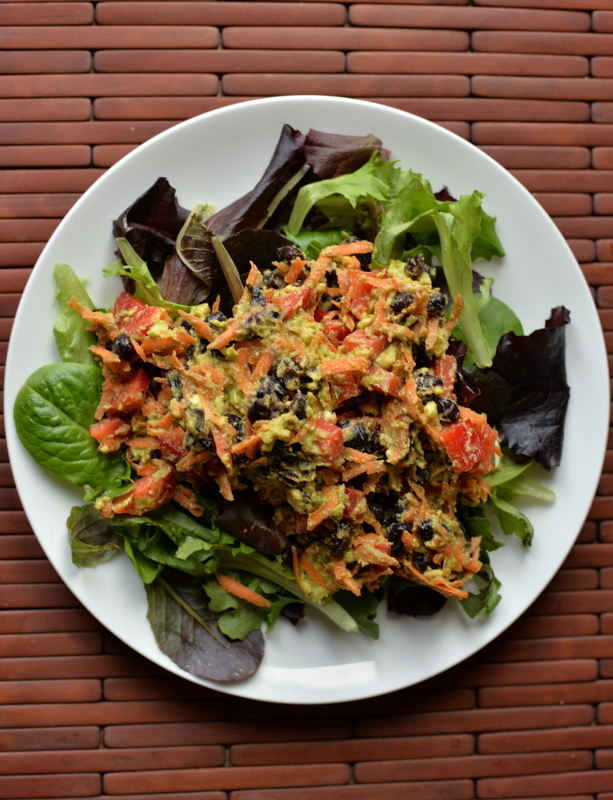 In any case, this salad received a lot of praise during my last barbecue. I think you will like it, too. Enjoy! 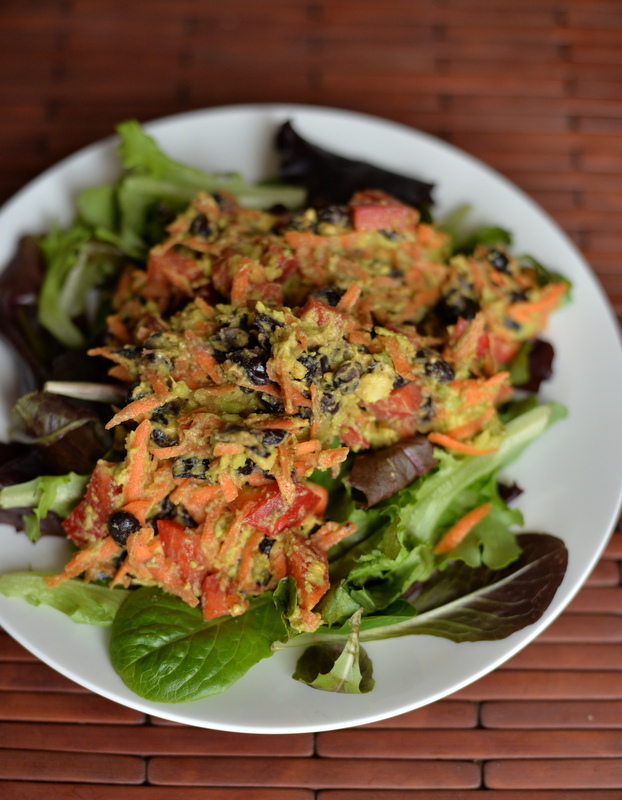 I am sharing this with My Legume Love Affair, Meat Free Mondays, and Cooking with Herbs.